Everyone loves yummy desserts baked from scratch, right? But who really has all that time? Save time without sacrificing flavor: take a box mix and some extras – like sour cream or whipping cream – and you can make noteworthy treats in half the time. Check out these amazing recipes and don’t be afraid to change up your own desserts! 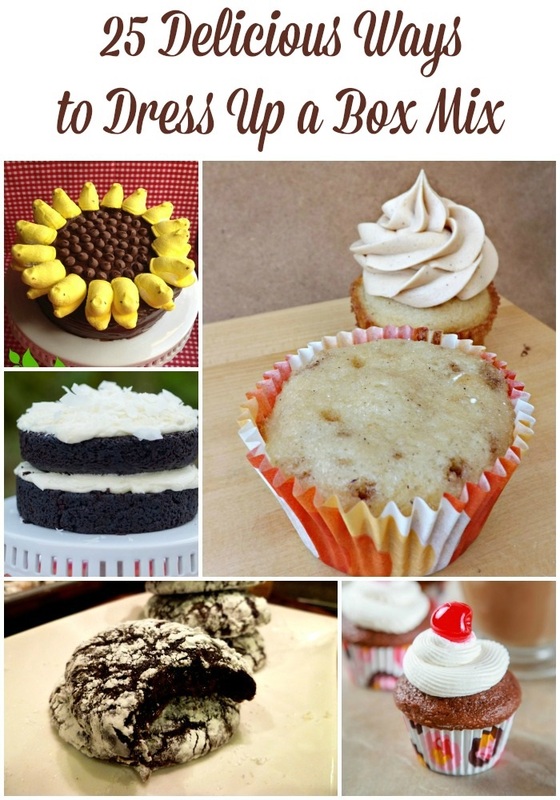 Let’s work on dressing up a box mix! Which was is your favorite? Leave a comment with your favorite. Thanks so much for including our Peanut Butter Banana Bundt Cake in your roundup! These all sound so fabulous!! Thanks for featuring my recipe. Sharing your post on social media!